I am now in my seventh day here. (Eighth? Not sure where the count begins.) I’m still a bit addled from the Cyclophosphamide dosages over the weekend. (Just typing the name makes me feel ill, via the mighty power of suggestion. And I am still retching horribly from time to time.) But it’s pulling together. I had a good night’s sleep, albeit somewhat interrupted. Today through Friday they;re dosing me with Fludarabine, which is considerably less ugly. Friday or Saturday I start IL-2, which will probably be the toughest med I’ll ever encounter. I am more than a little afraid. In fact, I am very afraid. Note the red line. Think about it for a minute. Lisa Costello says when she uses the one in the visitor bathroom, she often gives herself a finger bath whilst cleaning. Me, I dangle. As most men due to some degree. Little Elvis is of a felicitous size and shape, but my cremasteric reflex is in good working order, so he’s usually safe. However, my testicles drop right into the soup every time. I’m sure I don’t have to draw you (another) picture. Let’s just say my management strategies for this are annoyingly kindergarten-like, as I’m not normally in the habit of clutching my junk while I poop. Why in the hell anyone thought this was a good design, I cannot imagine. I have discovered that the best way for me to pee in one of those little plastic urinals is to lean my forehand against the bathroom wall, tilting my weight forward, and use my two hands as God intended them to be used in that situation. I have no idea why this should be true. Hot water? In a hospital? What hot water? As long as we’re on the subject of plumbing design in a healthcare facility, the hot water at the tap is very, very slow. If it hasn’t been used for a while, I’m talking two-rounds-of-Happy-Birthday slow. I understand instant-on hot water isn’t practical from an energy efficiency point of view, but maybe they could have put a few more boilers in the architecture. I mean, it’s not like I have any reasons to need to keep washing my hands a lot. I’m sure Risk Management would love to hear all that. So we kept asking. And asking. Nurses, doctors, maintenance guys, the ward administrator. The problem, it quickly devolved, was the bed’s data output cable had a head that was incompatible with the data input on the utility wall behind the bed. We asked for another bed. No. The problem with being in a hospital is that if you’re trying to accomplish something that doesn’t flow up through your nurse to your doctor, that’s very hard to do. Administration, infrastructure, physical plant and so forth are deliberately invisible to the patients. Finally a guy came in to change our clock battery for DST. He was a hospital electrician. We asked him about the bed. No, not his job, but he knew who’s job it was. Meanwhile, I think the ward admin had finally gotten hold of someone. (Bed services apparently not being available over the weekend.) The bed mechanic showed up in due course, agreed with our diagnosis, and said he’d fix it. He came back half an hour later with a cart full of tools and equipment and tore apart the utility wall to swap out the bed data interface. All ended well. But we must have asked literally fifteen people. It was just weird. Speaking of physical plant, there’s a small footlight in my room next to the bathroom door. I suppose it’s intended for night use. 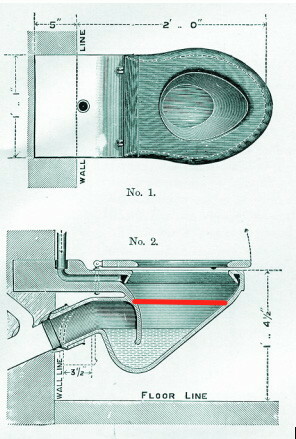 It’s inside the wall, and provides a corresponding glow on the other side. Except the filter or whatever on my side has slipped. So when I turn the footlight on, it shines directly in my eyes in bed with an unmediated glow of a bulb. I have asked to have this fixed as many times as I’ve asked for the bed to be fixed, but we haven’t yet found the vice-president of footlights at NIH, apparently. I am attended by two nurses per day on 12-hour shifts. The odd medical assistant wanders through to do vitals. Episodically doctors appear like Canadian trap door alligators. And they leave behind a trail of syringe caps and similar small plastic items on the floor. I find this an astonishing fall hazard, as small round things may as well be ball bearings if you hit them at just the appropriate angle. Another item for Risk Management I guess. 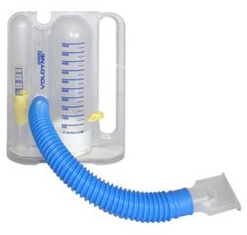 One of my least favorite medical devices in the incentive spirometer. They feature prominently in post-operative recovery regimes. I have learned a new use for them which surprised me considerably. If I measure a low to moderate fever, the nurses here will sometimes have me use the incentive spirometer for several minutes. It can bring my temperature down by a degree Centigrade or more. Weird. Yesterday, NIH implemented a new medication management system. Literally every pill or dosage has to be scanned before it can go into me. This has obvious applications for both patient care and inventory control. It’s also, like all new release software, buggy and strange. Last night, my nurse was trying to give me 650 mg of Tylenol. For some reason, my orders were written as two separate 325 mg doses. This resulted in fifteen minutes of exasperated effort on her part, and that of another nurse, before they just gave me the damn Tylenol and went off to work this out somewhere else. Given that I was on the edge of falling asleep at the time, and really wanted the Tylenol so I could go lights out, this was frustrating as all get out. Ah, progress. The bottom third of my lungs are silent now. I no longer have use of them. The tumors have crowded out the healthy tissue and blocked air access. So when a doctor or nurse listens to my lungs, they sometimes comment on this. I am always on the edge of short of breath, and find this somewhere between creepy and terrifying. Astute readers will recall that last week I had a dual-lumen Hickman catheter installed in my left chest by Interventional Radiology. It hasn’t worked worth a damn since. Inputs are fine. They can pump stuff down all day long. And if they’re pumping down, they can extract. But right now I’m only on the infuser about 30 minutes per day. And after a while, output shuts down. No blood draws. Apparently I either have excellent clotting factors, or the lines are twisted in my chest and pinching one another. The horrible, whole-body spasms I’ve been having with the wrenching and coughing can’t be helping that either. Right now I’m waiting out a TPA push to see if that clears. 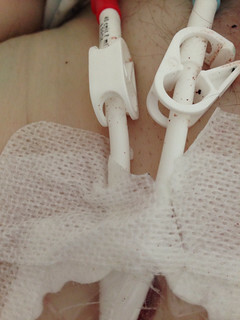 Otherwise I’m afraid they’re going to put me on KVO (Keep Vein Open) orders with a continuous drip. My real terror here is that they’ll decide to take this out and put another one in. Jay, there is a universal law that says that hospital beds and their ancillary kit must contain guaranteed failure features which make them unsuited for actual use as a hospital bed for someone who is ill. As a means of detecting whether you are in a hospital bed it is just about foolproof. However, they seem to have upped the stakes on the toilet design; perhaps some idiot somewhere thought it would make bidets superfluous, and thus save lots of money. have warning signs telling you that the hot water is very hot. I’m sorry to hear about the Hickman; about the only crumb of comfort I can offer is that inserting a new one might be much less unpleasant than the original, because they put the original one in wrong. That, at any rate, was my experience with Portacaths; it may, or may not, be true of Hickmans. So sorry you have to go through all of this. I’m amazed that they make such distressing comments when caring for you (the lung thing). Can you or Lisa or your dad tell them to stop that? It seems incredibly insensitive. A riser (elevated) toilet seat would be helpful. We have requested one. Several times now, in fact.